Hey Goldie why don't you stop prenteding like you're in charge of making dinner tonight. 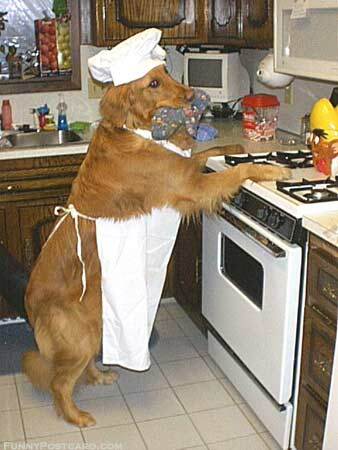 You're a dog not a chef! You crack me up. You should put that oven mit on your paw though. 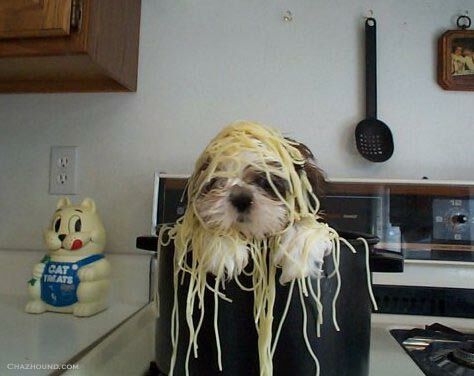 It doesn't suprise me that curious Max found his way into some angel hair pasta.